The holiday season is about to rear its sparkly head. You are already lining up your party schedule and wardrobe. Before you even dress up, you need to make sure you look good underneath. Jergens BB Body Perfecting Skin Cream is a new find for me just in time for the winter assault on my skin. While BB cream for the face has been the biggest upgrade to my beauty routine, BB Body cream takes it one step further. Don’t think of it as body makeup. Jergens BB Body Perfecting Skin Cream works as an intense moisturizer that hydrates the skin. Unlike makeup, it doesn’t just mask imperfections; the ingredients help even skin tone over a period of five days. In the winter, my skin really takes a beating. Between periods of hives, dryness and sometimes urticaria, I am quite self-conscious about any kind of skin-bearing party outfit during the holiday season. Makeup rubs off on delicate fabrics and can clog pores to make it worse. 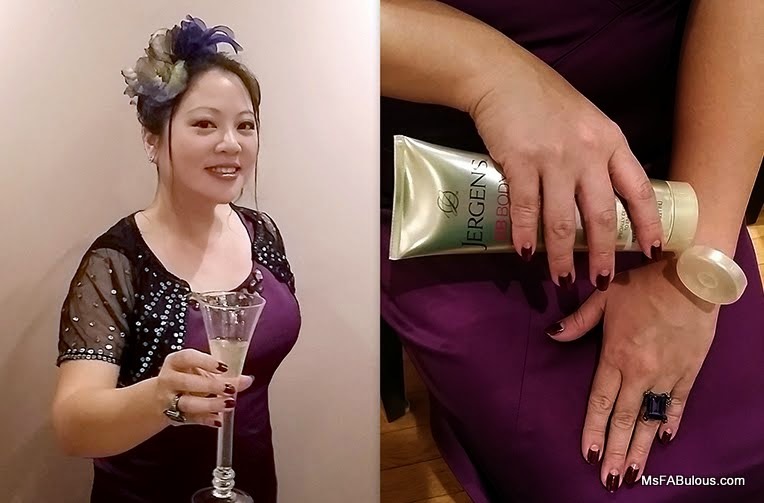 A BB cream that works to firm and improve the texture of my skin the way the best products can for my face was a great discovery right before the first soirees of the season. Now I’m not saying you should go and live a strictly hedonistic lifestyle… Hydrate and rest for your insides or whatever you do for the outside skin won’t stand a chance. You can find Jergens BB Body Perfecting Skin Cream pretty much anywhere like your local Target or CVS store. You can like Jergens on Facebook for news and promotions. Disclosure: Content was sponsored by Jergens.. The opinions expressed herein are those of the author and are not indicative of the opinions or positions of Jergens.